Dr. Frank Ng is a Lecturer in the Department of Management. He received his PhD in Management and BBA in Management from The Chinese University of Hong Kong. His research interests lie in the intersection of firm strategy and organisational environment, and he is particularly interested in how firms strategically deal with environmental jolts and discontinuities. 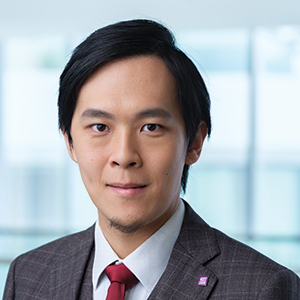 After his doctoral studies in 2015, he has taught undergraduate courses at Hang Seng Management College, including Business Policy and Strategy and International Business, with multiple teaching excellence awards. Frank W. Ng (2016), “The Multiple Facets of Crisis and its Impact on IPO Underpricing.” In AIBSEAR Series: Asian Businesses in a Turbulent Environment, edited by G. Cui, & T. S. Chan, UK: Palgrave, pp.3-20. Daphne W. Yiu, William P. Wan, Frank W. Ng, Xing Chen, and Jun Su (2014), “Sentimental Drivers of Social Entrepreneurship: A Study of China’s Guangcai (Glorious) Program,” Management and Organization Review, 10(1), 55-80. Daphne W. Yiu, Frank W. Ng, and Xufei Ma (2013), “Business Group Attributes and Internationalization Strategy in China,” Asian Business & Management, 12(1), 14-36.